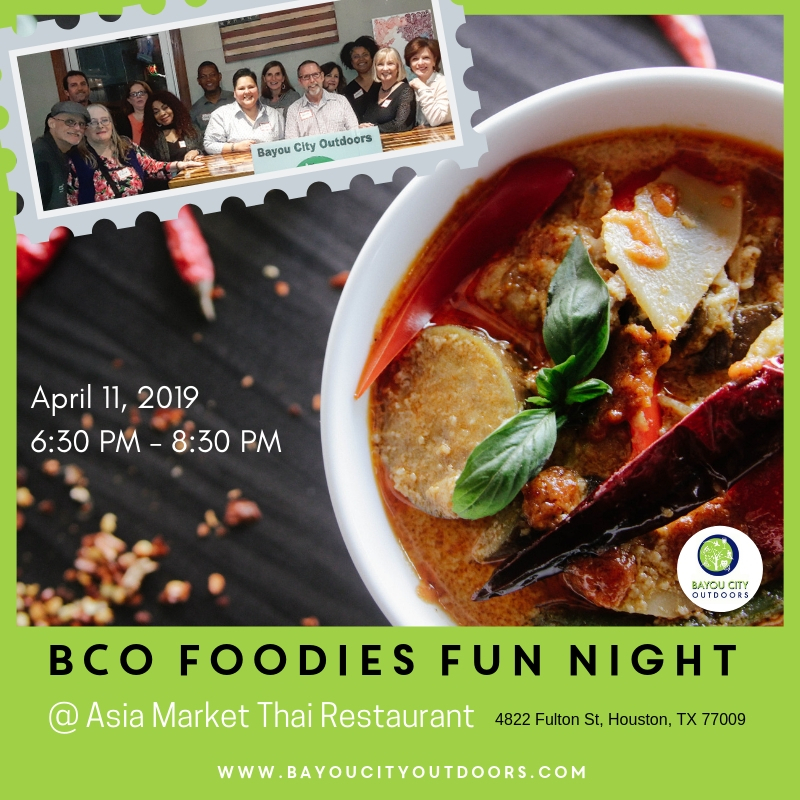 This month, we’ll be heading to the Asia Market Thai Restaurant for some awesome thai food and wine. Asia Market Thai Restaurant is known for its modern interpretation of classic Thai dishes and highest quality fresh Thai ingredients. And tasty. It’s definitely known for tasty!! BTW - You might think you’re in the wrong place. Nope, it looks a little hole-in-the-wall from the outside, delish on the inside. It’s a casual night of socializing and just getting to know each other. No power point or speech, we promise! Whether you love hiking, biking, kayaking, camping, backpacking or just being social, you’ll meet some kindred spirits at our Foodie Nights. A little shy or have BCO questions, don’t worry! Our Event Leader will be there to help you break the ice, and break bread. Parking in the lot and some surrounding streets.